A mighty dragon designed and made by Joy Butler, photo by Carrie Butler. 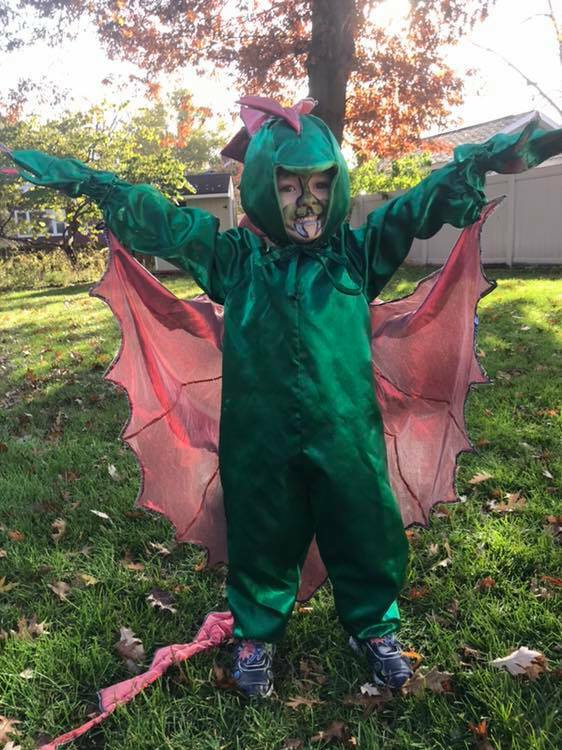 Hayden loves to be powerful and mighty, so why not be a dragon? This costume was first made in 1986 for Hayden’s father and was revamped this year.